The Domain Name System (DNS) has been in use on the Internet for more than 30 years — now it is time for its worldwide maintenance that shall, for the first time in the existence of DNS, require coordinated actions from all operators of DNS servers and DNSSEC validators. 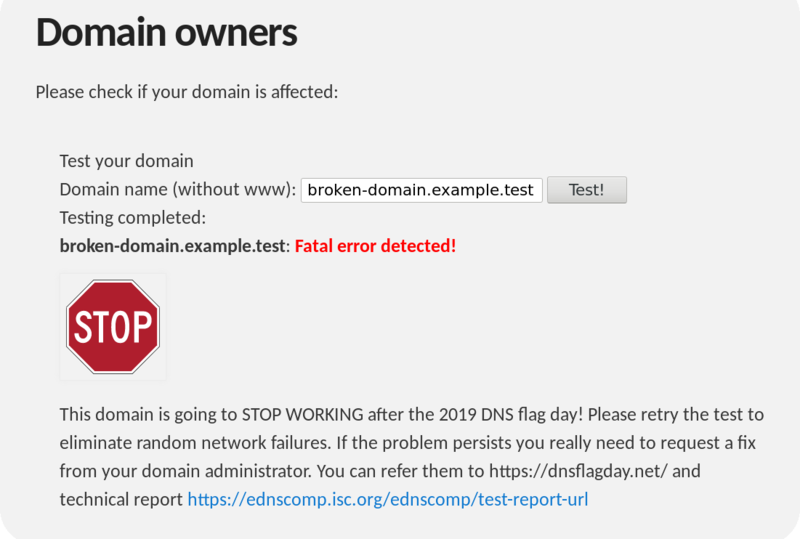 This article summarizes the crucial steps that operators of DNSSEC authoritative servers need to take to ensure that their users will not experience any difficulties following upcoming scheduled DNS maintenance. Authoritative server operators should ensure that their name server implementation correctly responds to queries with EDNS extensions by 31 January 2019 at the latest. In accordance with the published plan, major DNS software vendors will discontinue support for servers that violate both the DNS standard RFC 6891 and its predecessor RFC 2671 after 1 February 2019 (also for the first time in history). How to prepare for changes? In conclusion, we would like to wish all operators of DNSSEC authoritative servers a smooth update of their software and seamless transition into the next 30-year DNS era. Petr Špaček devotes his professional life to the DNS and leads the Knot Resolver project at CZ.NIC labs. Thanks for posting your valuable information with us & our readers.